This unique unfinished wooden chocolate box is made from solid poplar wood. Its dimension is 261x176x53mm. It has an acrylic window so the customer can see the chocolates inside. 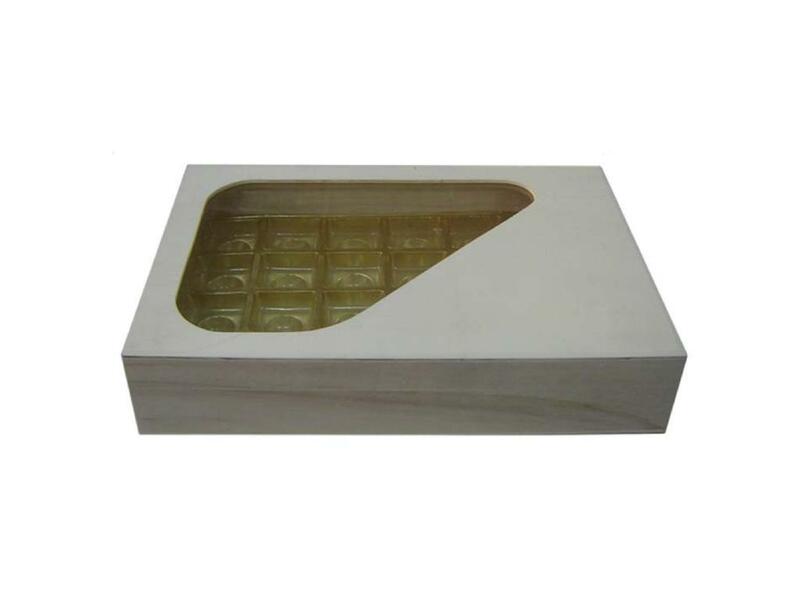 A plastic chocolate tray inside holds 24 chocolates. 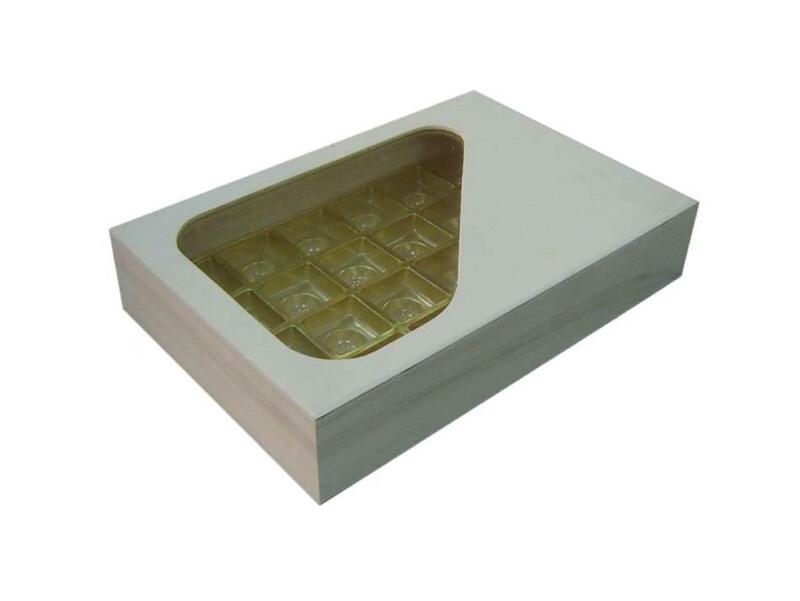 Your logo can be easily imprinted on the box. 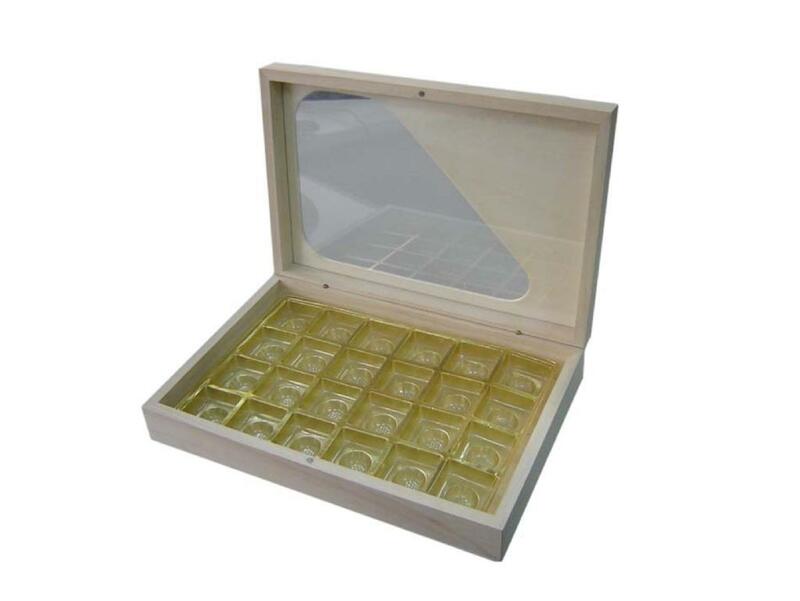 We take great pride in manufacturing the highest quality custom made unfinished wooden chocolate boxes for each and every customer. We have the skilled workforce and expertise required to meet any and all of your wooden box needs.